Get rid of duplicate in Outlook 2016, 2013, 2010, 2007, 2003, 2002. Duplicate Remover is the best solution for those who use latest Microsoft Outlook 2016 as their main email for daily email communications. 4Team Duplicate Remover works with all Microsoft Outlook versions: Microsoft Outlook 2016, Microsoft Outlook 2013, Outlook 2010, Outlook 2007, Outlook 2003 and Outlook 2002. Remove Outlook 2016 duplicate contacts, calendar items and emails. This current version is compatible with Windows XP, Windows 2003, Windows Vista, Windows 7, Windows 8 and Windows 10. Free 14 days free trial. No credit card. Duplicate Killer is compatible with Microsoft Exchange and Public folders. 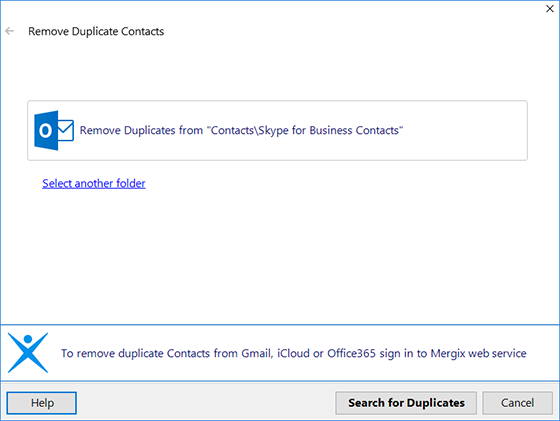 With just one click of a button you will remove duplicates in Microsoft Exchange Server folders. Delete duplicate emails, contacts, notes, tasks, journal and calendar items in Microsoft Outlook Public folders. There are no risks. If you buy the program and are not satisfied, you will get your money back. A 14-day money back guarantee.